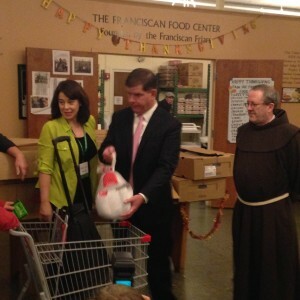 The Franciscan Food Center (Food Center) was founded in October 2008 by Fr. David Convertino, OFM, and Fr. 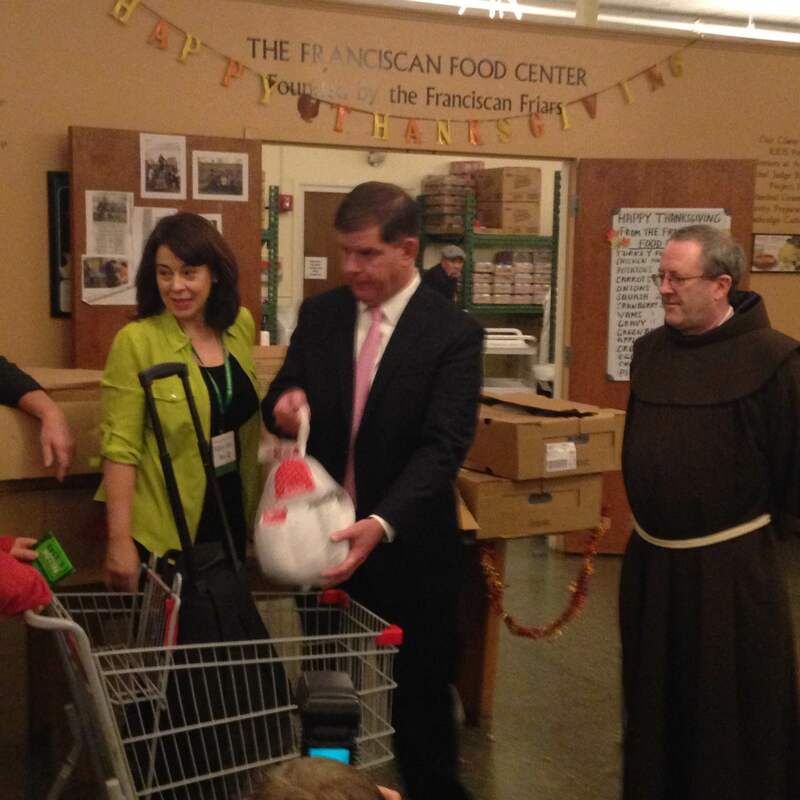 Paul Lostritto, OFM, working in partnership with the Mayor’s Office and the Greater Boston Food Bank. The mission of the Food Center is to feed people who are hungry by providing high-quality, nutritious food in a client-choice setting and create a community in an environment of dignity, compassion, and respect. If you want to learn more about volunteering please visit our volunteer portion of our website. In addition to the Franciscan Food Center, we have the Kids Program which provides seasonal provisions including backpacks and school supplies for children of Food Center members under the age of 18.